By olduvai in Liberty on February 2, 2019 . “Alice laughed: “There’s no use trying,” she said; “one can’t believe impossible things.” “I daresay you haven’t had much practice,” said the Queen. “When I was younger, I always did it for half an hour a day. 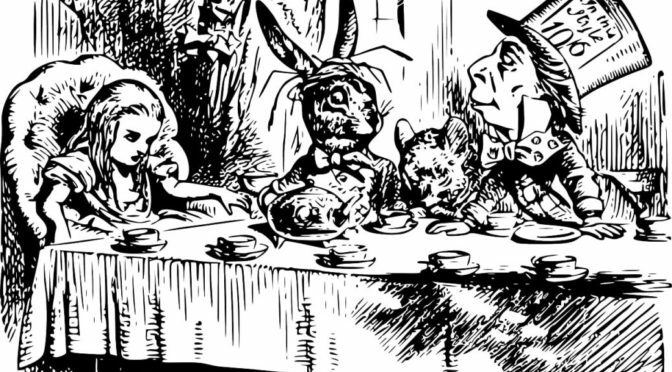 Why, sometimes I’ve believed as many as six impossible things before breakfast.” – Alice in Wonderland. That right there is a perfect example of circular logic and emotionally comforting thinking. From the point in time when non-religious standardized thinking was institutionalized, more commonly known as the scientific revolution of the 16th and 17th centuries, we have been conditioned to believe everything and anything can (eventually) be cataloged, quantified, qualified and confirmed…or denied. More importantly, the scientific method insists “real” truth can only be verified by way of uniform methods that produce repeatable results.